Welcome to the Göta Canal! The Göta Canal App is your guide to experiences along one of Sweden’s greatest tourist attractions. The App provides you with good and practical information when you are by the canal. When you reach the canal you can search based on your location, where you are. You can also seek information from any of the canal’s marinas both before and during the trip. The App also gives you the option to explore recommendations on walking and cycle tours along the Göta Canal with the help of the App’s map. Another function of the App is a map on which you can easily see where all the passenger boats are on the canal. Göta Canal's mobile App uses mobile data to retrieve information, which may incur additional charges depending on the type of subscription you have. 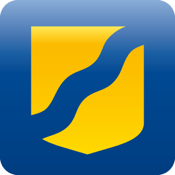 Göta Canal's mobile App uses GPS positioning to assist the map functionality. Continued use of GPS running in the background can dramatically decrease battery life.